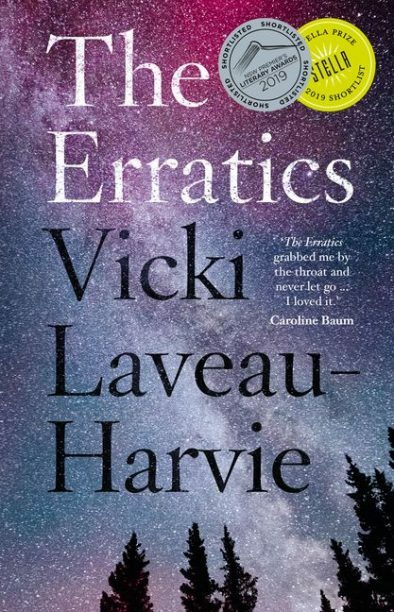 Vicki Laveau-Harvie has won the 2019 Stella Prize, worth $50,000, for her memoir The Erratics (Fourth Estate). Judging panel chair Louise Swinn said The Erratics, which tells the story of an estranged daughter who journeys home to care for her mother who suffers from an undiagnosed mental illness, ‘mines the psychological damage wrought on a nuclear family by a monstrous personality’. ‘Despite the dark subject matter, this book has a smile at its core, and Laveau-Harvie shows constant wit when depicting some harrowing times. The narrator somehow manages to see all viewpoints, and we are rewarded with an evocative and expansive view of a family that has more than its fair share of dysfunction. The writing throughout is of a consistently high standard and we were constantly delighted by this surprise of a book,’ said Swinn. The Erractics, Laveau-Harvie’s first book, was originally published by Finch Publishing after the manuscript won the 2018 Finch Memoir Prize. The small press closed in late December 2018 when owner Rex Finch retired, and HarperCollins acquired the rights to the memoir after the Stella longlist was announced in February this year. Laveau-Harvie’s book was chosen from a shortlist of six by a judging panel chaired by Swinn and that also included author Michelle de Kretser, journalist and ABC presenter Daniel Browning, investigative journalist Kate McClymont and Sydney Writers Festival head of children’s and YA programs Amelia Lush. The Stella Prize is presented for the best work of fiction or nonfiction by an Australian woman published in the previous calendar year. The prize is named after Miles Franklin, whose first name was Stella, and was inspired by the UK’s Women’s Prize for Fiction (formerly the Baileys Women’s Prize for Fiction). Alexis Wright won the 2018 Stella Prize for her ‘collective memoir’ Tracker (Giramondo).